How Much GERD Causes Barrett’s Esophagus? How much acid reflux must you have in order to cause Barrett’s esophagus, a precancerous condition in the “food pipe” that’s a risk factor for esophageal cancer? If a person suffers from acid reflux symptoms every day, is this enough to cause Barrett’s esophagus after a certain length of time? Is it a type of symptom that’s more relevant to the development of Barrett’s, such as heartburn as opposed to coughing? Does the severity of the GERD symptoms play into this? In short, should people have anxiety over developing Barrett’s esophagus just because they have GERD or episodes of acid reflux? • Waking with an odd taste in the mouth. The taste may also be triggered by exercise like running, step aerobics or jumping. “We know that Barrett’s esophagus is due to chronic exposure of the esophagus to acid and stomach contents,” says Alan Gingold, DO, a board certified gastroenterologist with the Digestive Healthcare Center of NJ. “Typically, five years or more of reflux is considered the minimal amount of time that it takes for patients to develop Barrett’s in the setting of chronic reflux. “Obviously this is an average, and so there are patients who have less than five years’ exposure and develop Barrett’s, and there are patients with many more than five years and never develop Barrett’s. There is no research that links a subjective report of severity of a GERD symptom with the likelihood of developing Barrett’s. Reflux symptoms occurring often throughout the day, has also not been linked to a higher risk of Barrett’s than does having the symptoms only occasionally throughout the day. Finally, type of symptom has not been found to be linked to any higher risk. Thus, the person whose GERD causes mostly throat related symptoms is not more or less likely to get Barrett’s than someone whose acid reflux only causes chest or abdominal discomfort, or whose reflux occurs only after eating, or only overnight, or only during anxiety or exercise, etc. • Eat fewer processed foods and more fruits and vegetables. • Replace white flour foods with whole grain versions. • Replace white rice with brown rice. If your acid reflux or GERD symptoms are not responding to medication or conservative treatment (e.g., sleeping with torso elevated), or if they are longstanding — see your doctor. 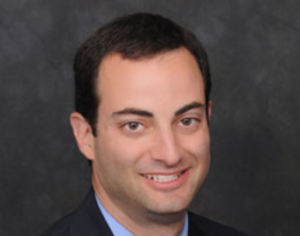 Dr. Gingold attributes his success to the extra time he spends with his patients. His areas of expertise include reflux disease, Barrett’s esophagus, capsule endoscopy, chronic liver disease and inflammatory bowel disease. How Suddenly Can GERD Begin? Can a Barium Swallow Be Normal Despite Severe Reflux? How Likely Will Esophageal Cancer Come from GERD? Who Should Have Upper Endoscopy to Diagnose Heartburn?